TF partners with GAVINA in Argentina. 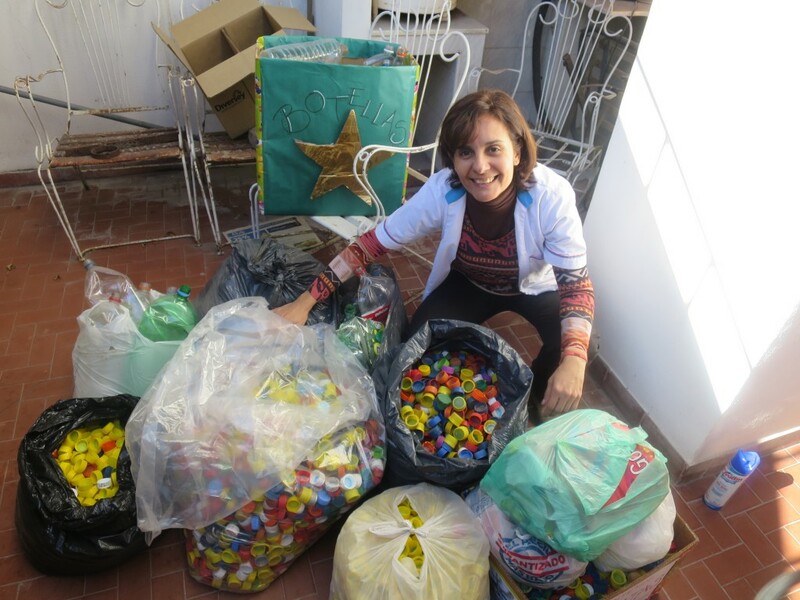 Recently, our partner has begun a recycling program called Tapitas y Botellas por Sonrisas that aims to recycle goods to fund even more smiles. Monica Galvan, pictured, has worked as GAVINA’s psychologist & fundraiser since 2006. She routinely reaches out to rotary clubs and obtains supplies for the clinic. She is also a music teacher at Escuela Ciudadela, a Public School, since 2007. The Director of the school has a daughter who has a cleft, so she is supportive of Monica’s second job at GAVINA. At the school, there is a recycling program. In March of this year, she contacted the Municipality of San Miguel Tucuman, to see if the recycling program could also be carried out at GAVINA. She was told that GAVINA could benefit from the lids and bottles that were collected. They receive $0.20 CAD/kg for lids and $0.15 CAD/kg for bottles. 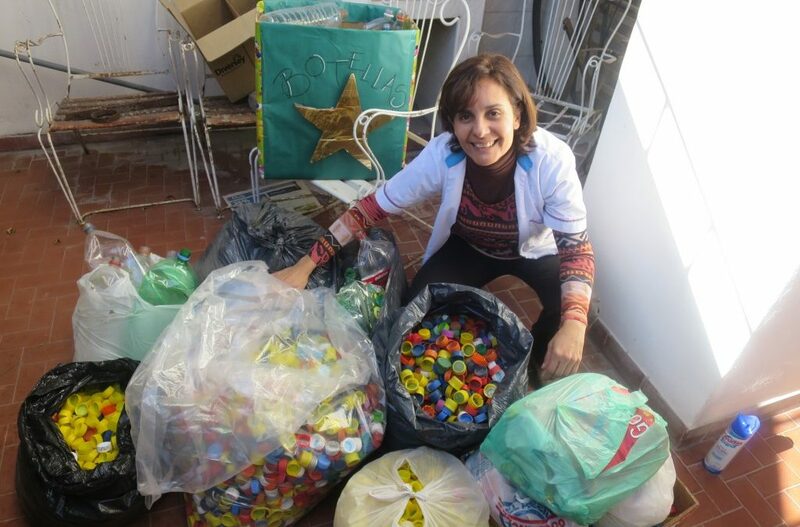 She has raised awareness among patients and parents about the recycling program. It has been well-received and parents have brought bottles and lids in with each visit. They have also put boxes in schools. The final weigh in will be happening soon so stay tuned for the grand total!